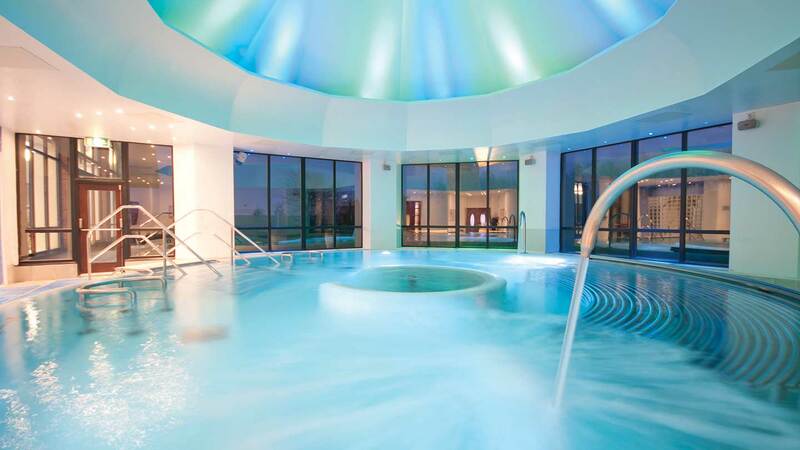 This Champneys spa is surrounded by water walkways and open parkland. You can enjoy over 80 therapies using Clarins, Elemis and Champneys' own products, as well as more unusual treatments such as Reiki and bamboo massage. Facilities include a 25-metre indoor swimming pool with sauna and steam room, and warm whirlpool. You can book the thalassotherapy pool for up to 12 people, and after all your hard spa-ing, chill out in the quiet zone. 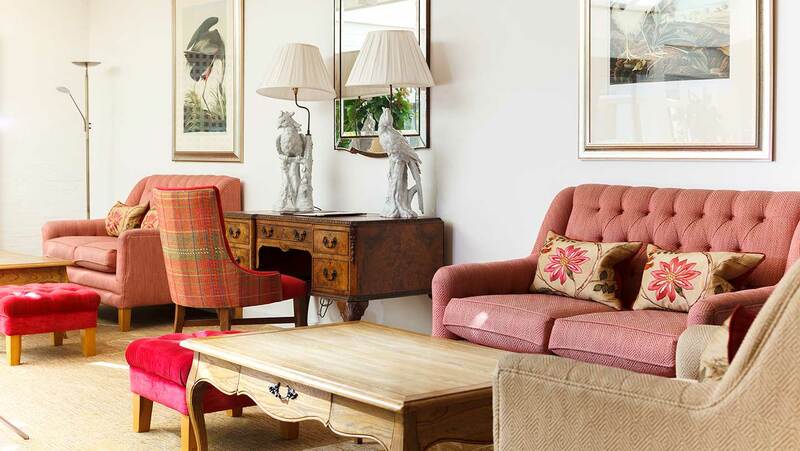 Part of the burgeoning Champneys' family of spa properties, Champneys Springs is a purpose-built hotel in ten acres of rural Leicestershire countryside. Turn off the busy road and marvel at the views, which seem to appear out of nowhere. Once you have parked, walk over the wooden bridge into the hotel, stopping to admire the water feature below. Staff greeted us warmly in the light, bright and airy reception area. We took a seat and sipped on a refreshing glass of water while Annette, our spa host, put together a Champneys-branded canvas bag containing our robe and flip-flops. She then showed us around the expansive spa. The wet changing rooms (there are dry facilities back towards reception) consist of three sections, each containing banks of keypad-operated lockers. There are oval marble stools for changing (or nip into a private cubicle), and vanity stations with hairdryers, cotton wool, and Champneys' cleanser, toner and moisturiser. There are two toilets; all five showers contain branded shampoo, conditioner and body wash. Here, too, are two small ladies-only thermal experiences: a small steam room with blue mosaic tiles and a pine-scented sauna. Champneys Springs has a huge pool area where floor-to-ceiling windows drench the space with light. Loungers are dotted around the edge; relax and watch the ducks jump in and out of the reef pond outside. The 25-metre pool is perfect for swimming lengths (just check there's no aqua-fit on); a bubbly hydro- pool seating eight is at one end. Next door is the thalassotherapy room, complete with huge circular salt-water pool and variety of jets. We loved allowing the powerful jets, bubble seats and swan pipes to massage us from top-to-toe. When it comes to relaxing, we saw robed guests reading books, snoozing, and sipping smoothies beside the café, near the shop, and in the treatment area. Nice day? Open the French doors to the croquet lawn and catch the rays on a rattan lounger or hanging pod seat. If you take a wander around the glorious grounds, there are loungers and benches dotted around so you can sit back and marvel at the views. Champneys Springs also has a small gym and a studio with a full schedule of classes: from hikes, to barre fusion classes and yoga. You can also try the tennis courts, a football pitch, and bike hire. We tried the Sofri Colour Energy Candle Massage (50 minutes, £89). The day before my treatment, one of the spa therapists asked me to choose a colour from a sheet of stripes. I selected the colour red, after which I was offered a Sofri red and green candle to determine which scent I preferred. After smelling both, I opted for the green one. The next day, Vanessa, my therapist, met me in the waiting room and took me through to a treatment room with a chromotherapy lamp on the wall. I took a seat so that Vanessa could talk me through the treatment and its principles. Colour is said to have a vibrational value and works with your own energy: you naturally choose what you need on the day. Each colour is linked to a chakra; green is linked to the heart chakra and the treatment is designed to comfort, uplift and deeply relax. Vanessa asked me to take a few deep breaths in preparation for the massage which consisted of long, rhythmic, sweeping strokes using the warm candle wax. The wax felt comforting on my skin, while the scent was both sweet and a little spicy. Vanessa treated me to a blissful, and sleep-inducing, Indian head massage. By the time Vanessa asked me to turn over, I was on the brink of sleep. Vanessa repeated the massage on the backs of my legs, working her way up my back until she reached my knotted shoulders. Once the treatment ended, Vanessa talked me through some aftercare ideas, handed me a glass of cold water and led me back out to the waiting area where I took stock. My body felt free of tension and my mind completely relaxed. My skin also felt soft and nourished. 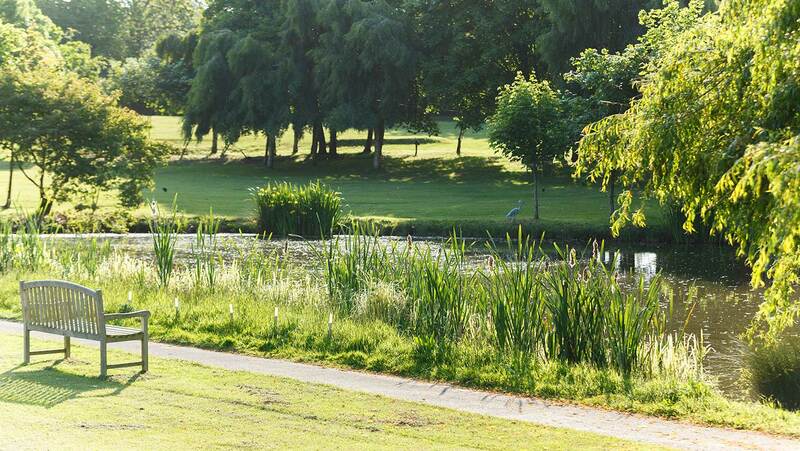 Champneys Springs has an extensive treatment menu of Decléor and Elemis treatments. If a massage is your treatment of choice, you can opt for Deep Tissue, Bamboo, Hot Stone, Lava Shell, Aromatherapy or Hot Poultice. Beauty treatments are available, too, as well as treatments for men and mums-to-be. You can have lunch in your robe in the hotel restaurant; it's a buffet with a chef in the corner creating hot dishes such as chicken wraps and noodles. Plates have sections on them suggesting the amount of protein, fat and vegetables you should stock up on so as not to overindulge. We tucked into a seafood salad followed by a deliciously creamy, albeit rather healthy, strawberry mousse. Water is included in the lunch and a complimentary tea or coffee is served in the lounge afterwards; you need to pay for anything extra. Dinner is a three-course affair in the same restaurant. We dined on a creamy salmon terrine to start followed by gluten-free gnocchi and a raw chocolate brownie. Vegan and dairy- or gluten-free guests will find plenty of choice, while those watching the calories can opt for a lighter menu. 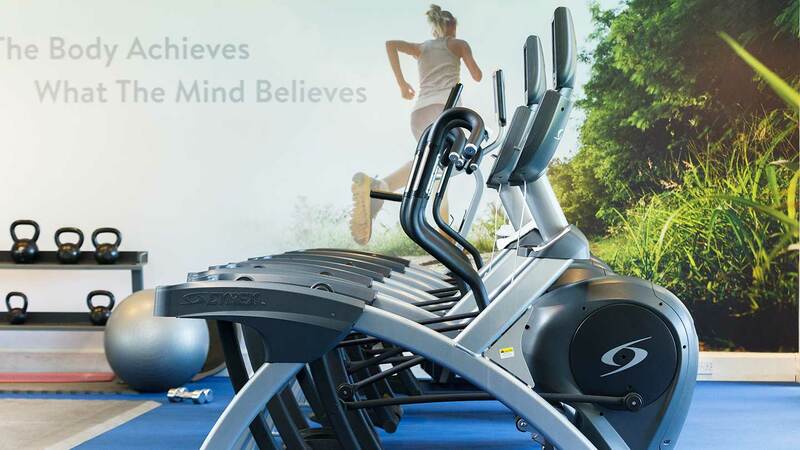 The huge range of classes on offer: From intense boot camps to gentle hikes and yoga, there is something for everyone at Champneys Springs, all delivered by highly trained, enthusiastic staff. Our treatment: Vanessa is a fantastic therapist who delivered a bespoke, relaxing and effective massage. Our room: We loved being able to open the French doors and step straight into the grounds. The absence of a post-treatment relaxation room: Having a dark and quiet space to relax in would extend our post-treatment bliss. Whilst safe, functional and clean, Champneys Springs looks a little tired and old fashioned: Some TLC wouldn't go amiss. We saw couples, families and groups of friends on our visit. Active spa-goers: You don't have to sit still if you don't want to. 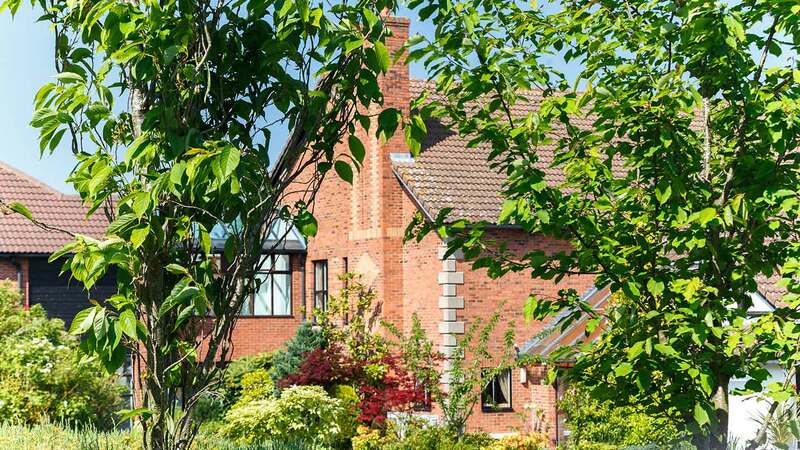 Anyone looking to make lifestyle changes: A stay at Champneys Springs could give you a nudge in the right direction; they offer a range of retreats and boot camps, too. 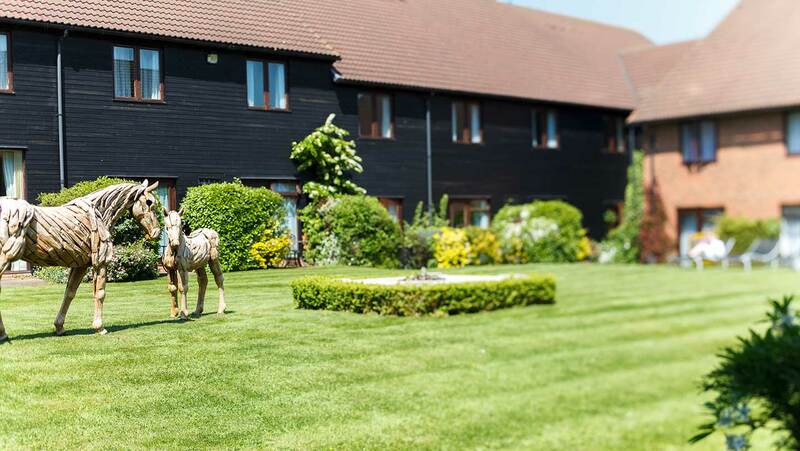 We awarded Champneys Springs a Good Spa Guide Bubble Rating of 4 Bubbles. With 43 treatment rooms, an extensive menu of treatments and classes, Champneys has everything you need for a healthy and active break. A wider choice of thermal facilities and a little bit of TLC would elevate this spa further. Scarlet Spy visited in August 2018 and awarded it 4 Bubbles. "Extremely disappointed with Champneys Springs. This was the very first spa that I went to about 30 years ago and I thought it was wonderful at the time. However, fast forward 30 years and nothing has changed. The decor is still in the 80's and it desperately needs a refurb. It is tired and drab and in places very dirty. The jacuzzi had mould in the grout of the tiles, the toilets and showers were dirty and pictures hanging on the walls of the thalassotherapy were faded and mouldy, to name a few. The spa facilities were far from inspiring. With only a swimming pool, jacuzzi, thalassotherapy, sauna, and steam room to use during the day we were struggling to fill the day, knowing that the pilates class we had hoped to attend was already fully booked by 09:30. Only 6 people at a time could fit into the tiny steam room, and although our heads and body were hot, cold air circulated around our feet due to the gap under the door. Only 4 people could fit comfortably in the sauna. No relaxing, spa music anywhere in the building other than the reception area, and we compensated for this with playing our own spa music to try to create an ambience and drown out the loud activity around us. We struggled to find a settee to relax on in the afternoon, and used tea cups and teapots were left on the coffee table alongside us from previous residents which sat there for at least 1 1/2 hours before I moved the tray myself. This is a far cry from the modern and extensive facilities now provided by the likes of Aqua Sana at Center Parcs, where I have been many times. We will definitely not be returning to Champneys. A complete disappointment and an expensive day given the lack of facilities and inferior surroundings. " 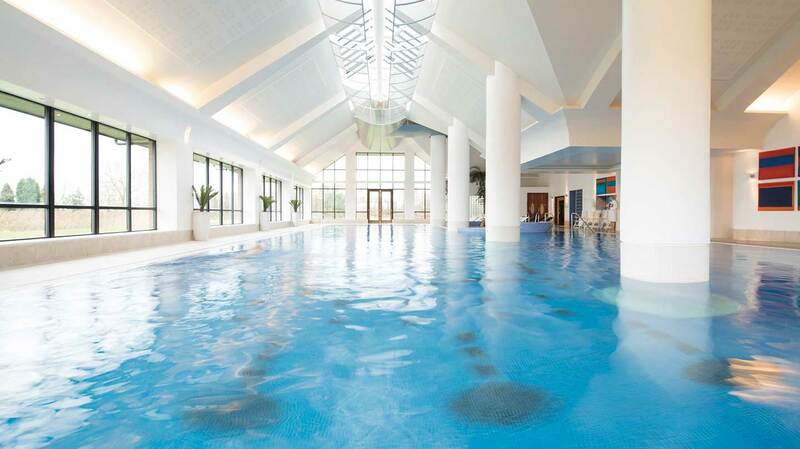 "Each time I visit any of the Champneys health resorts I feel revitalised and well. I work in a stressful environment and ensure I have at least 3 spa days a year and an overnight stay. The facilities cater for every aspect of wellness. For example, spa, excellent treatments, good healthy food with a good variety at every meal and very nicely decorated bedrooms and suites. If you are a first time spa goer or experienced you will the package right for you. " "My absolute favourite spa, a visit anytime is guaranteed to recharge the batteries and leave you with an unmatched glow. The staff are so attentive and are always pleased to see you."